Many of us rather clean and dry the standing water inside our home or business establishment but little do we know we may be risking our family and workers’ health. 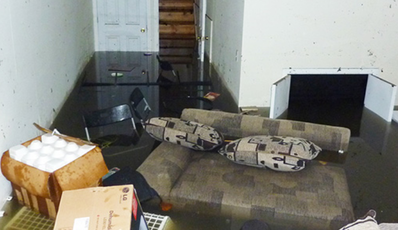 There are some cases that we can handle a simple water damage but without proper drying of the furnitures, wall and floor affected, mold and bacteria may invade. When mold and bacteria starts to grow it may trigger asthma and illness. Mold can spread within 24 to 48 hours and should be removed as soon as possible. Hiring a trusted and experienced water damage company in Englewood, FL like ServiceMaster by Wright can help you avoid structural damage and mold in your home or establishment. It is safer and inexpensive rather than deal with water damage on your own and later on with mold and structural damage. Water extraction is the process by which water is removed from a structure, be it a residential home or a commercial or industrial building. Typically extracting water is necessary when some sort of appliance or item within a property has malfunctioned and created an overflow of standing water. Common culprits are refrigerators that leak, toilets that overflow, water heaters that malfunction, or pipes that burst. In some instances, sewage backup can occur and cause your home or office to become flooded with dangerous wastewater. ServiceMaster by Wright can dispatch a crew immediately to begin extracting water from your home or office. All the excess moisture should be removed properly to protect everyone from health risks. ServiceMaster by Wright specializes in providing emergency water extraction services in Southwest Florida and nearby counties. If the water is extracted quickly enough, often times things such as carpet and furniture can be salvaged, greatly reducing the costs as well as the headaches involved with the water extraction process. Whether it’s a leak from a roof that causes water to enter the home, it’s extremely important that the water extraction process is begun immediately. Call 866-676-7761 ServiceMaster by Wright for faster response. We have a team 24/7 ready to answer your call and dispatch a team immediately. ServiceMaster by Wright services the Bonita Springs, Bradenton, Cape Coral, Englewood, Fort Myers, Longboat Key, Naples, Marco Island, Sarasota, Siesta Key, and Venice. If you are in Collier, Lee, Manatee or Sarasota Counties, we have you covered!